Now that we’ve looked back at 2013, it’s time to start looking ahead. Some will be making resolutions while others, such as myself, will be setting new goals. What’s the difference you ask? The difference? The combination of Passion and ambition. Without BOTH…failure is probable. So I’ll be setting some 2014 goals and I’m a little nervous to actually put them down no paper because I don’t want to let you all down but it’s good to have goals right?!. This year though, I’m expanding my goals…to include not only fitness focused goals but also blog and personal goals because they all have to work together. Complete a half ironman: Right now, I’m looking at Steelhead in August. I’ve made reservations and got my husband on board. Those are two big steps. 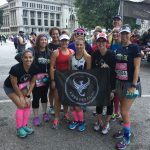 Complete two half marathons: Right now my race calendar includes Go! 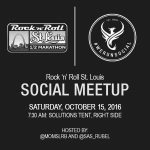 St. Louis and Rock ‘n’ Roll St. Louis and couple others that would mean a couple weekend trips, which as many of you know can be tough to arrange with small kids. Coordinate Celebrate Fitness for the 6th year. I coordinate the 5K and 10K event and spend a lot of time making sure it’s a good event for all. So please pray that we have good weather March 8th here in STL. By themselves, they might not look like much but for me, considering all the other things I want to do, they are enough. I’m realistic where I am in life right now and this list is pretty fulfilling for me. To be perfectly honest, this is the first time I’ve really set blogging goals and I’ll be completely transparent. My goals here might not be what the big blog agencies would tell you to focus on but I’m not in it to make them happy. Redesign my site. I’m self hosted on blogger and have been since I started almost 4 years ago but I’ve never changed my design or layout and it’s starting to feel a little cramped up in this little house. The problem is there is a cost associated with this and as I can see it anywhere from $900 to thousands which I will need to save in order to see this happen but it’s time. Share or RT at least 5 to 10 people a week. Again, this might not sound like much but it’s a commitment to the community and I’ll do my best to see it grow. Become more blog business savvy. I feel like I’ve only scraped the surface of blogging and not that I want to make a ton of money doing it but I would like to understand it more…as a business person, I’m just curious. Take some professional pictures. I have been asked a number of times this year for “headshots” or a “full body shot” and I don’t have any that weren’t taken with an iPhone. Another cost but once I have them, I can keep using them for a while. This is kind of the catch all bucket. There are so many things swirling around in my head and I’m going to braindump here. Potty train my toddler. This one gives me heartburn. It’s not going well and he shows no signs of wanting to do this. Complete the first three yearbooks for E and the first one for MiniE. This is something that I’ve been meaning to do for a while. I’ve started E’s but just need to focus and finish them. Successfully complete at least one roadtrip/vacation as a family of four. This will most likely be the Ironman but hopefully that’s not the only trip we take. Gulp…there they are. On virtual paper, just waiting to be tackled. 2014 promises to be a good year for me and hopefully it’s a good year for you. What are some of your goals? Great goals – I’m loving seeing what everyone wants to accomplish this year! I’m excited to finish my list up and publish on Wednesday! Can’t wait to read your goals! Thanks! Great goals!! I love your goals for social media. I too have similar goals… I just need a method/plan in place to do that…or I will fall behind or get mixed up. DEFINITELY attending some blogging conferences this year! It’s ON 🙂 There is ALWAYS tons more to learn! I think you should come to the IDEA BlogFest in August. It’s going to be so much fun! Your blogging goals ate inspiring me to create my own. Love the idea of becoming more business savvy with blogging. I need to do that too. For the past 2 years I’ve started to out my goals out into the universe. It’s scary but it helps. A lot! One of my goals this year is to make a blogging conference too. Not sure where or if it’s possible. Do you want to talk to my hubs and I’ll talk to yours??? 🙂 Happy New Year Katie! I like how you divided your goals and all seem doable! On the blog redesign, it doesn’t have to cost that much. I’m going through a site redesign AND a full transfer from Blogger to WP. If I were just redesigning on Blogger it would only have cost $300 or so. The transfer added another $300 but that’s still less than $900. A simple redesign should only cost you $200-300 if you find the right person. Anyway, I like the blogging goals on reading new blogs, etc. I try to do the same! Thanks Ericka! I am going to start looking into that early this year. Great goals. 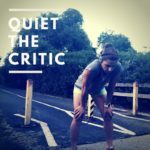 I love how you separated personal, blogging, and fitness. Happy New Year! You’re right Jill. Let’s crush some goals together! I am so with you on wanting to attend a conference at last! They seem to all happen when something is going on with my kids. My goal is to take the plunge already and swim and get some fresh, new to me races on the calendar. Happy New Year! I know! Can’t wait to see what you do! Goals, not resolutions! That’s the exact way to go! And by putting them out there, you hold yourself accountable. I sense it’s gonna be a badass year for many of us! Great goals Katie! I love how you have blogging goals! I have them but they are just in my head and never written down. You’re going to have a great year! P.S. I do not envy the potty training! Lol! Great goals! I need more info on the blogging conference coming to Nashville, since I live in Memphis. On the potty training thing…what worked for us was not rushing it. We waited until they were ready and they potty trained so quickly because of that. Best of luck in 2014! I can’t even remember which conference it is but I’ll figure it out and when I do, I’ll tell you. 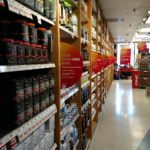 -Seems like a lot of races; maybe STL has a longer season than Toronto – make sure to leave recovery time! -Blogging #4 I feel you on. I get zero travel except family vacations. -Personal #1 is tough… it seems like until they ‘want’ it, it just won’t click. Shark Boy started being more willing when he saw his cousin (8 months older) doing it. -Personal #3 is a ditto over here. I tried to get my work to do the headshot thing too. They nixed it. So I’ll do it myself! E doesn’t in anyway act like he wants to potty train. It’s so frustrating. What, wait — read for recreation? What is that? I don’t even read People magazine anymore, just look at the pics – lol. I bet you achieve all your goals, you strike me as a very motivated, go-getter person. My main goal for the blog is to learn how to be a better photographer . . . personal it is to make some great family memories in the last summer before my oldest graduates. And, to support my DH better.I need to get out a pen and notebook – stat and write these goals down! We have a lot of the same goals – half marathon, reading for pleasure, getting kids into swim lessons. The blogging ones are almost exact! Looking forward to a fabulous 2014! Happy New Year! These are such great goals! I need to set some for my blogging as well. I love the idea of reading three new blogs each week. Good luck with the potty training! We are starting to move toward that as well and it’s already making me nervous! The blog reading is my biggest goal. So many great ones out there. 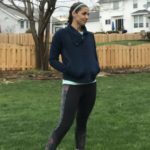 Katie – You have some really awesome goals! I know you will tackle each one with drive and enthusiasm. Can’t wait to hear more about your Triathlon training. You Rock!! I love how you split your goals into categories like that. I did the same thing with Running/Fitness/Health, Blog, Family/Personal. I have them all written down on paper but am terrified to put them out there for all to see. Still debating but if I do I will have it done this weekend. The potty training thing isn’t as bad as you probably think. We didn’t push the potty training with my son until he was 3. He was just not interested and I wasn’t willing to put up the fight and have a regression later on. He will get there! I love this post. I think these are all extremely reasonable and admirable goals! I am newer to the blogging world and I too am setting a goal of commenting on other blogger’s sites. I want to be a part of this amazing community and realize that it is important to support my fellow fitness bloggers in the process. 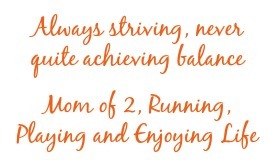 I just began reading your blog and absolutely love that you are a “running mom”. I do not have children yet but hope to keep the healthy balance of life and fitness as I do now when my husband and I plan to have children in the very near future. It is truly inspiring to follow you. 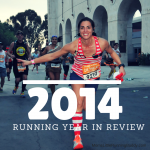 I look forward to reading more in 2014 on your lovely blog! Thanks Ashley! You are too sweet! Hope you have a great 2014! Good idea! I need to write down my blogging goals too. I would love to attend a blogging conference but I never seem to hear about any fitness related in Canada. Maybe I will add that to my to do list too! Ha ha ha sorry for the rambling. Great post! Happy New Year to you too! You know that’s true. I’ve never heard about canadian ones. Hopefully you can find one this year! YAY HALF IRON BUDDY! It is slightly terrifying, but we can do it! Awesome goals! I like “read for recreation”–I’ve fallen out of that habit too and would like to get back into it. Katie, If you want help redesigning your blog (free) let me know, I can help you set it up. Mine is also on blogger, check it out: http://blog.katenesi.com Very easy to custom design! Absolutely love all of your goals, very well rounded. You are focusing on all aspects and that is awesome! I’ve never heard the goals vs. resolutions comparison before but it makes so much sense! I have a hard time dedicating a change for 12 whole months, so much can happen in that time span! My big goal for the year though is running my first marathon, just days before my 30th birthday! Great list of goals. I made some fitness ones and have some loose personal ones, but I need to get them all down in writing! I LOVE your walkthrough of goals vs resolutions. A must-read. And your goals: halts (fave event) half-IM (never have) and more recreational reading (ME TOO). Have a great 2014!